Within a few years, Louis Armstrong, who’d heard of a talented kid in South Africa, sent the boy his own trumpet. Photographer Alf Kumalo captured Masekela’s joy at receiving that gift in an iconic photograph. But Masekela says he has always hated that image: “I lost a girlfriend through that picture,” he says. “You know, we were very cool at that time, so that was a very uncool picture.” She told him she couldn’t be seen with him. “Barefootin’ with your pants rolled up — I mean, how country can you get?” he says. Read more at Jazz Great Hugh Masekela, Fresh Because He’s Fascinated : NPR. The hip injury that led to Lady Gaga’s canceled world tour last month will not prevent her from recording a jazz album with Tony Bennett as scheduled, Bennett told Rolling Stone in an interview Thursday in New York. Inspired by their lone collaboration, “The Lady Is a Tramp” for Bennett’s Duets II album, the pair plan to expand on their relationship when they enter a studio in Astoria, Queens. “Once you have an idea, then you go for it,” Bennett said. While they have not settled on a producer, Dae Bennett and Phil Ramone worked on the 2011 song. via Lady Gaga and Tony Bennett Set to Record Jazz Album in June | Music News | Rolling Stone. The Kennedy Center has announced its 2013–2014 jazz season. The jazz program at the prestigious Washington, D.C., venue, now under the leadership of Artistic Advisor Jason Moran, will include more than 70 performances. Featured artists will include Geri Allen, Terence Blanchard, Terri Lyne Carrington, Ann Hampton Callaway, Ramsey Lewis, Kevin Mahagony, Oscar Peñas, John Pizzarelli, Dorado Schmitt, Esperanza Spalding and Cecil Taylor. Among the themed shows announced by the Kennedy Center is a 75th anniversary celebration of Blue Note Records, a weeklong series of performances that includes Norah Jones, Moran and Cassandra Wilson. Trumpeter Arturo Sandoval will be the focus of a concert titled “50 Years: The Life, Passion, and Music of Arturo Sandoval,” with Chick Corea, Bill Cosby, Doc Severinsen, Andy Garcia and more. Soprano Kathleen Battle will perform “Something to Sing About,” a program of songs by Gershwin, Ellington and Joplin with pianist Cyrus Chestnut. 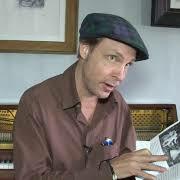 via Jazz Articles: Kennedy Center Announces 2013-2014 Jazz Season – By Jeff Tamarkin — Jazz Articles. Jazz is alive, and will never die. via Jazz Columns: Jazz Is Alive and Will Never Die – By Michael A. Nutter — Jazz Articles. Since Sean Jones debut on the Mack Avenue label, he has gone from strength to strength and has grown to be one of the genres top trumpet players and bandleaders. When I popped the advance copy of the album into CD player, I could not stop listening and played it repeatedly, it is due for worldwide release towards the end of March 2009. I enjoyed Gregoire Marets harmonica solo on Life Cycles is fantastic, Joness mellifluous flugel horn highlights the compositional beauty of this Latin tinged ballad. Having met Maret and seen him perform with both Herbie Hancock and Marcus Miller a few years ago. The man has taken the mantel of Toots Thielemans and is going on to great things in the future. The young star takes his career to new heights with The Search Within and shows he is a composer of compassion and strength, something many older contemporaries have taken years to accomplish. The Search Within is an album that has found pride of place in my collection. John McLaughlin, 21st June 2002. When still at school, and studying classical guitar, I expressed a desire to study under Johnny Fourie. I brought this up with my guitar teacher of the time, who expressed certain preconceptions surrounding Fouries teaching, and other unrelated idiosyncrasies. A second and later attempt with another teacher also met a similar response. I finally began lessons with Fourie in 1998, and over the past years have discovered that this gentle, caring and above all honest man is definitely the subject of many urban legends. Hopefully, this article will arouse some new interest, and perhaps put a few truths on record. Johnny Fourie was born Jan Carel Fourie in the Postmansburg district of Hay in the Western Cape on the eighteenth of May 1937. His earliest recollections are of his father going to fight in the Second World War, and of growing up on a farm with his grandparents. He remembers already having expressed the desire to play the guitar by the age of four but his mother was unable to purchase one for him. His parents separated when he was six years old and his mother moved the small family to the east-rand town of Benoni where she worked as a seamstress. She also played the accordion and encouraged Fouries musical development by purchasing a guitar. It was while living in Benoni that Fourie was introduced to American films. On Saturdays he would slip into the movie house, and watch films for the better part of the day. Through these films Fourie was introduced to country music, as well as many of the great swing ballads and show tunes that would become part of his staple repertoire. But his first real listening experience of jazz came in 1949, with a radio show by the George Shearing quintet. In fact this show made such an impression on Fourie that he still recalls the personnel; George Sherring on piano, Chuck Wayne on guitar, Marjorie Haymes on vibraphone, Vernel Fournier on drums and Denzil Best on bass. The very next day Fourie was at the local bicycle shop, where he could buy 78 shellac records, and got his hands on this recording, which he then took home and set about mastering every nook and cranny of the disc. He delved into many recordings over the next few years, and absorbed recordings by Barney Kessel, Oscar Moore, Johnny Smith and Mundell Lowe, to name but a few. By the age of fourteen he had already decided to turn professional and managed to mislead his mother into allowing him to enrol at the Benoni engineering college with the real intent of quitting later. After three months at the college he found a way out, and moved to Brixton Johannesburg to embark on his professional career. His first gig in London was with an Eastern European violinist who needed a guitar player for a restaurant gig, The Blue Boar Inn, where Fourie had to dress in a Robin Hood style outfit while supporting this Gypsy violinist! Fortunately it wasnt long before Fourie was able to leave this gig. Through a South African friend, who was a roadie for the Ray Ellington Quartet, it came to Fouries attention that there might be a guitar position available in this quartet, as their current guitarist was problematic. Although Ellington liked Fouries guitar style, he didnt get the job at first, because he couldnt read the charts. When the replacement guitarist proved unreliable, Ellingtons piano player persuaded him to try to use Fourie by offering him the opportunity to memorise the music. While working at Ronnie Scotts club Fourie was exposed to numerous famous musicians and groups, many of who were to be influential in the development of his style. Bill Evans, Jim Hall, Rene Thomas, Freddie Hubbard, Stan Getz, Roland Kirk and Sonny Rollins are just a few important names. Although Fourie became quite a name in the UK, he felt that times were changing and that players like Coltrane and Davis were changing the face of jazz. He became increasingly unhappy about his current musical position and decided to give up everything, return to South Africa, and spend time studying to expand his musical goals. After a brief stint back in England in the late 1960s and then another brief time back in South Africa, Fourie went to New York in 1971 to play fusion. His search came from trying to find freedom, freedom within and without the structure, this was the search for the Holy Grail. Once in New York he made immediate contact with his old friend, John McLaughlin, and remembers going to the launch of McLaughlins album The Inner Mounting Flame at the famous club, My Fathers Place. McLaughlin was busy with his own band and he asked Fourie to stand in for him on the Charles Erland recording, Intensity. The album featured Charles Erland on organ, Hubert Laws on flute, Fourie on guitar and Billy Cobham on drums, as well as many other players. The pieces were long funk-based improvisatory works and called for Fouries new improvisation techniques as well as the use of his prized fuzz box. After this session Billy Cobham recommended Fourie to Clive Stevens for his group Atmospheres. John Abercrombie was leaving this band and Fourie took the post for roughly a twelve-month period performing at many famous jazz venues. Although he was now set for a promising career, even auditioning for Chick Coreas second Return To Forever band, he only came to America on a three-month visitors visa and application for an extension was turned down. He continued to try and work illegally, but was eventually deported to South Africa in 1974. The period since his return has been characterised by continuous growth through his involvement with a wide variety of bands, performing with many top South African artists. Of particular importance is the wide influence Johnny Fourie has had spreading the tradition of jazz guitar through working with many musicians, as well as taking younger musicians under his wing. A significant period was devoted to the development of the Johnny Fourie Band (1979-1985), featuring his son Sean Fourie on keys, Raymond Boschoff on drums and Chris Bekker on bass. During the late 80s, Fourie performed in Carlo Mombellis group The Abstractions, playing complex and modern jazz inspired by the sounds of the German ECM label. 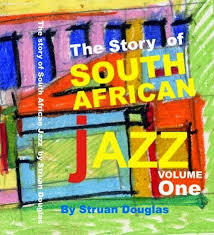 Fourie feels this group was extremely important, both to him and to the South African jazz scene. While the JFB band had been free and uncompromising, this band took what they were learning to a new level. The heads of the works were often complex and detailed, while the improvisatory sections offered a lot of freedom to the soloist and were not limited in length. Two things took up his focus in the 1990s. Firstly his new job as teacher at the Pretoria Technikon Jazz Department, and secondly the formation of the Short Attention Span Ensemble. This fusions group performed original works by Sean Fourie and Johnny, and played many festivals and events throughout South Africa, releasing their debut disc Fingerprints of the Gods in 1997. The band featured Johnny, Sean, Barry van Zyl, Trevor don Jeany, and British saxophonist Dave OHiggans. But the majority of his energies over the past number of years have gone into his students, and it is in these students that his legacy will live on. Fourie has never really received the amount of attention he deserves. He was never politically outspoken, and has no interest in being so. While he never approved of the systems in place his protest was a quiet one, working with all the musicians from all the backgrounds that would play with him. The list is endless; Allan Kwela, Errol Dyers, Bob Mintzer, Cyril Mgubane, Nico Carstens, Johnny Boschoff, Robert Payne, Bob Zotolla, Carlo Mombelli, Barney Rashabane, Groove Holmes, Avzal Ismail, Wessel van Rensburg, Gilbey Karno, Jack van Pohl and many, many more. His focus has always been the music, the advancement of it, taking our sounds to the next generation, and above all: playing, playing, playing jazz! Into the space between the jazzy torch songs of old, and a fresh homegrown infusion of earthy self-penned compositions, comes A STATE OF AYA. The artist behind the album is Aya – and is her sonic “state of mind” that she is showcasing on her debut solo album. The often jubilant, fun and sweetly sophisticated jazz sounds allow her distinct vocals to shine – unveiling a scintillating new talent on South African scene. A truly lively album – from the jaunty, sax-punctuated sounds of ‘Shame On You’ (Ngiyakudabukela) to the soul-stirring, Gospel-drenched magnificence of ‘Ngcwele’ and the elegant ‘Japanese Blue’, A STATE OF AYA maps out the musical ground that this prodigiously talented individual occupies. It’s not going to be long before Aya imprints herself into the lives of music fans around the country and beyond – a destiny that she’s long-known is where her own personal state of being lies. Born Ayanda Mpama, the 23-year-old has been waiting in the wings for several years, ready to make an impression on the recording industry. Aya’s work in stage performance, numerous intimate live gigs in Durban and a degree in Music and Drama from the University of Natal (now the University of Kwa-Zulu Natal) have all assisted Aya in shaping the musical vision that is contained in her debut album. Indeed, Thompson knew right from the moment he first heard Aya sing that hers was a special talent – and when Aya moved to Johannesburg, the A & R and Marketing head of Sony BMG wasted no time in inking a deal with the artist. Fine-tuning the sound that appears on A STATE OF AYA was no easy task. “I’m a diverse kind of girl – I think in both Zulu and English, I was born in Swaziland, lived in Zambia and spent much of my childhood in Durban and I am as much an urban girl as a rural one so that needed to be reflected in the music,” she exclaims, her trademark laugh rippling around her words. In conversation, Aya is magnetic – unafraid to voice her opinions, singularly focused and full of what can only be described as a thoroughly engaging zest for life. Whether it’s recounting stories of living in a rural community for several weeks, or the downside of plying your singing trade in a restaurant where people are there for the food, Aya is capable of holding the attention of her listener. Several of the songs were sourced from an international publisher, including I Dont Want To See You Cry and Japanese Blue, a gentle, inspirational song that Aya says is one of her favourites on the album. Given Ayas academic background, it is not surprising to find that the thread that connects the songs on the album is a sense of sophistication; a jazziness that is underpinned by a soulfulness that only comes from a place of authenticity. Ayas very natural ability to switch between English and Zulu only adds to the albums appeal. I know just instinctively which words need to be conveyed in which language and I do think that the choice adds to the impact of the lyrics and the songs, she says. Listening to A STATE OF AYA confirms this: one of the albums standout tracks, Thula Nhiliziyo Yami is an organic mix of English and Zulu, its understated beauty enhanced by a piano melody and horn playing that once again signifies the albums retro mood. The composition, Everyday is another gem that provides the perfect platform for Aya to let her spirit fly through a song whose simplicity is part of its charm. Ayas ability to convey emotions, like love gone wrong on the ballad I Dont Want To See You Cry, is a highpoint of A STATE OF AYA yet her innate feel for a song means she never veers into histrionics, preferring instead to let subtle intonation bring the message home. Authentic, fresh, full of young life yet imbued with a sense of history, and with just enough sophistication to take it across generations, A STATE OF AYA is bound to be an integral part of the collection of South Africas discerning music lovers. Aya intends supporting the release of her debut with a slate of live performances  and she is up for the challenge of winning over audiences. If I can do it in front of a supper crowd and on national television in the pretty weird scenario that was Idols, then I think that I can convince an audience who appreciates fine music that mine is well worth the listen, she says. Singing icon Thandi Klassens’ story is one of many from the racy, vibrant and seemingly indestructible Sophiatown of the early fifties. Along with Langa, Cape Town and Port Elizabeth, Sophiatown was a place where black urban culture was erupting. And where there was black urban culture, there was jazz. And everybody wanted a piece of it. All over the country, people tuned into Voice of America to hear what was hip. For a while, it was the big band sounds of Benny Goodman and Duke Ellington. But when bebop came, Charlie ‘Bird’ Parker and Dizzy Gillespie were all over the radio, everywhere. The white musicians who’d been to America spread the sound, magazines talked about it, and you could by it from the avant-garde record stores or American sailors who often docked on our shores. Pianist ‘Dollar’ Brand (who later changed his name to Abdullah Ibrahim) got his nickname because he always had a dollar in his pocket in case he came across one of these jazz records. City life was very impressed by bebop and its hip style and happening jazzmen. Twotone shoes, Stetsons, Buicks, Chevys and suits were the image, and the gents were impeccably dressed and smoothly mannered, for the chicks, the bebop and the fun of it. And in the blazen path set by the American cats, South African jazz developed, emerging out of a similar socio-cultural oppression, as a healing and transformative tool. Uniting the two suppressive streams into a form of music that had the expression of its roots, but with a unique African flavour. One of the great pioneers was Cape Town’s Chris Macgregor. He was studying at the University of Cape Town, but his interest was in what the black musicians were doing. He was energetic and enthusiastic, always practicing and composing, and defying ‘illegal gathering’ laws in order to meet and play with the musicians he wanted to. And that’s how the Blue Notes came together. Chris often went to The Vortex jazz club in Long Street, a popular venue where musicians jammed together. Dudu Pukwana was the regular pianist, he’d rehearse during the day, perform at nights and sleep in the basement. Chris and him talked about getting a band together, but they were both piano players. Dudu, however, had always wanted to play sax, so they hired one and the Blue Notes took off. King Kong was South Africa’s first jazz export and a major achievement in escaping political parochialism and taking our unique sounds to the West End. It also started the exodus of musicians to foreign and free pastures, where they could explore themselves and their art. Abdullah went to Switzerland, Hugh to New York to study, and Jonas his own way. The Blue Notes hung around until ’63, touring the country and then playing the Cold Castle Jazz festival in Jo’berg. With the politics becoming impossible and his feet itching for departure, Chris put together a 17 piece band featuring some of the best musicians across the country as a symbolic climax to the end of a rich period of jazz. It was a last minute affair. Chris composed furiously, whilst his wife arranged financing and facilities. Even though there was no time for rehearsing, the individual skill of the players saw the band to victory and a recording. On this high note, the Blue Notes joined the other musicians in exile. Kippie tried to keep the memories alive, but he never got over the departure of the other jazz players, and became overwhelmed by the political frustrations. The Sharpeville massacre had ripped the heart out of the nation and the situation was deteriorating. Apartheid was serious about destroying this vibrant era, and no exceptions would be made for jazz. It was an expressive force seeking musical and social equality, and apartheid hated that. Abdullah returned in the mid-70s to record two albums, one with Kippie and the other with Cape Town musos Robbie Jansen and the late Basil `Manenberg’ Coetzee. With them he reworked a ’50s jazz mbaqanga melody into the quintessential Cape Town anthem, `Manenberg’. But it was Saxophonist Winston Mankunku who anchored the scene, particularly in the late sixties, occasionally playing behind curtains under the alias ‘Winston Man’ to conceal his race, or performing out in Swaziland. His music was very avant-garde, an expression of society’s desperation for freedom. Wild and freeform, no restrictions for that. In ’68 he recorded the classic ‘Yakhal Nkomo’ (Bellowing Bull), “a scream for equality and freedom, a shout for recognition of the pain we were feeling,” explains Winston. Now, many years later, the voice that was lost has been rediscovered and reinvented in many ways, by both the returned pioneers and new musicians. Hugh’s 1997 album ‘Black to the Future’ shows a sensitivity to the music of youth culture, mixing up the old and the new, mbaqanga, jazz and kwaito. Winston’s latest album ‘Molo Africa’ recently won the SAMA award for best traditional album. And Jonas’ 1999 A Temporary Inconvenience proves that he’s still playing with the touch that made the Jazz Epistles pioneers and legends.